I spend a lot of time looking at landing pages. 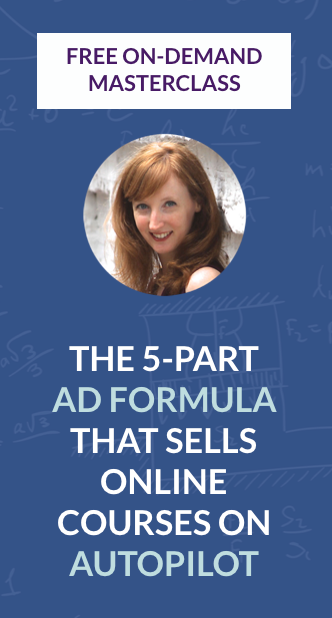 Because I focus my teaching on using Facebook ads for list building, your landing page automatically becomes a big part of the growing-your-list equation. I’m actually starting to think that your landing page is MORE important than the ad itself. But I’ll talk more about that on another day. Today I want to share with you this little experiment I did last year. I was curious to see what would happen if I ran ads that pointed people to a LeadBox, one of Leadpages’ features, instead of sending people to a landing page. Why wouldn’t you want to direct people to a custom landing page? Typically your landing page has one and only one purpose: to get me to take a specific action. In terms of pages designed for list building, that action is to give you my email address. Your website theme doesn’t have a landing page option. Because of the default design of your website, your navigation bar(s) and beautiful sidebar end up acting as distractions on your landing page. 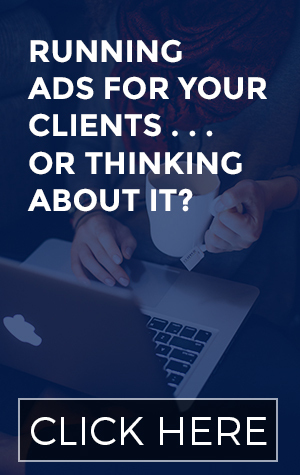 So even if your offer is amazing and you’ve got the copywriting chops to prove it, the money you spend sending people to that page might be wasted. They could forget to opt in because they’re clicking over to your blog, your about page, or your “As Seen In” page. Your free content is forgotten and those visitors don’t end up on your list. Putting together a landing page is time consuming. You gotta write the copy, figure out the design, add in the optin form. Even with software like Leadpages or OptimizePress that are designed to make things simple, it can take lots and lots of time to customize everything. I smiled instantly – I had just jumped back in time to my recent obsession with this very issue. I’ve been growing my list for just over a year – my first subscriber outside of my circle of friends and family signed up on January 10, 2014. (Hi Pau!) And in the beginning, I rarely noticed if anyone had unsubscribed. Fast forward to today: I currently have 1,346 subscribers, and 265 other people have been on my list and opted out at some point in the last year. That’s 19.69%. A huge chunk of my list, right? The more people you reach every week or month with your newsletter, the higher the number of people that will hit that “unsubscribe” button. It’s a fact of life business. And it happens even more when you’re running Facebook ads. I teach my Absolute FB Ads crew to use ads to promote their free content, the same way I do with my free guide. The strategy is to get on your potential customers’ radar, attract them to sign up for your list with a great “freebie,” and then keep them interested by consistently sending out your blog posts and/or newsletters. But some people will always jump to get your free PDF/training/video series/checklist, but would be happy to never hear from you again. Lots of people receive ALL their email in one inbox. Between you, me, Ann Taylor, Groupon and every other list they’re on, they’ve got 9,274 unread emails to deal with. I would unsubscribe from your list too if that’s what I faced every time I opened Gmail. Or maybe people have grown out of you. Do I really believe that all 1,346 people on my list are actively running Facebook ads? That they’re dying for weekly tips on optimizing their campaigns? NOPE. So it’s natural for people who simply aren’t benefiting from my emails to choose to receive one less marketing message per week. No worries – I do the same thing. 1. Make sure your free content matches up with what you plan to be emailing them about in the future. If your blog posts are all about eating green, why is your free video training about reducing stress? Yes, I know those two things both fit into the Health and Wellness arena, but the aren’t tied closely enough. I could use some tips on reducing stress or being more positive in my life, but I don’t want to hear about the power vegetables that will make my hair shinier. So if I sign up to learn one thing, I might get off your list if you teach me about another. 2. Use longer copy in your Facebook ads. When you’re trying to grab someone’s attention AND include a call-to-action in just one or two lines of text, there’s no room for personality. There’s no room for clarification. There’s no room to subtly imply who will truly benefit from hanging out on your list and who shouldn’t bother. 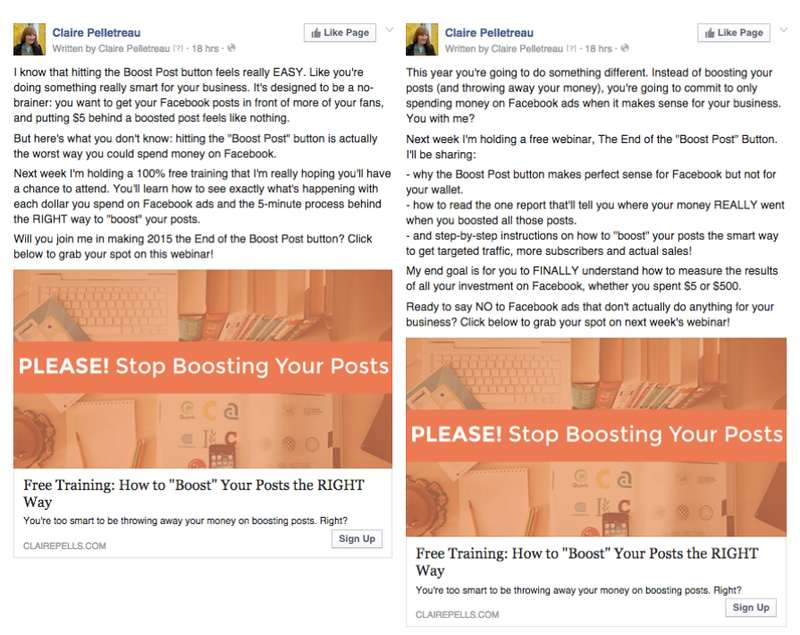 I’m about to host a webinar to try to get people to stop using the Boost Post button. Writing the ad copy continues to be my least favorite part of running ads, but I knew that this time I had to use more text to get higher quality subscribers onto my list. There’s not much in that copy that says “don’t sign up, scammy marketer-in-training.” But it has a certain tone. It’s a preview of what my weekly emails and blog posts are like. And if you don’t dig it, hopefully you won’t click. 3. Drive people to a longer landing page. I have mixed feelings about this one, but some of my clients purposefully use a long form landing page with lots of text on it. Their hope is that only the RIGHT people will end up on their list. I see the logic behind this; it’s similar to my recommendation about using longer copy in your ad text. But you have to be aware of your conversion rate: out of all your visitors, fewer people will sign up on a longer landing page. It’s a conversion optimization rule of thumb. It’s been converting at 50-60% since last year. 4. Email your list consistently. You might think that by emailing people once a week, you’re “bothering” them. Maybe people will unsubscribe less if you don’t contact them too often, right? Wrong. She pointed out one of the problems with emailing irregularly: when you go from sparse communication with your subscribers to a lot more contact (like during a launch, for example), some people won’t like it and will invariably unsubscribe. If, however, your subscribers get used to hearing from you early on, you’ll actually train them to expect your weekly emails. 5. Send out high quality, “valuable” messages. I’ve been on Marie Forleo’s list for a couple of years now. I almost never, ever open her emails. Why? Because I know what’s in them: a link to the latest episode of MarieTV. I don’t think I’ve watched an episode in a while, but I won’t unsubscribe. I know that what’s in her emails is quality stuff, and I want to continue to receive it. Some day the topic of her episode will pertain to something I’m struggling with at that very moment. The catch-phrase of the past few years has been “provide value.” I didn’t get what that meant until I started blogging consistently in May 2014. How can you provide value to your subscribers? Write in-depth how-to articles, record fascinating podcast episodes, share an amazing story on your blog, or give away a template for the system that has completely transformed your business. Being useful means really helping your audience solve the problems they’re struggling with. Yes, it’s impossible to be useful to EVERYONE, and you shouldn’t want to be! I turned off notices for unsubscribes many years ago because it used to hurt my feelings. But now I think of unsubscribes as a person who realizes that I’m not a good match for them, and I’m happy that they have realized that and neither of us will waste any time trying to force it. Actually, if a bunch of people unsubscribe at once, I think of it as great because it means that I’ve clarified my message that much more, such that people are easily able to filter themselves out without any more help from me. I loved this idea of not forcing it with anyone who’s not a good match. Especially when it comes to clarifying your message. I started my blog for people who need help with Facebook ads, but that’s actually too broad a group. I’m finally getting clearer on the group of people I can best serve: entrepreneurs who are looking to grow their list and who are willing to dig into metrics, play with Facebook ads, and test things out in order to achieve that growth. Hence this post. Anyone unwilling to or unable to do this kind of work to build a targeted list is probably unsubscribing right now. Thank you for self-selecting! If you do want to take steps towards keeping unsubscribes to a minimum, I would start with the tip #1 on the above list. Out of the five, making sure you’re offering the right free content is by far the most important. Beyond that, re-read Elizabeth’s words and try to get comfortable with the idea of saying goodbye to someone who’s filtered herself out as a bad fit! In the course of about 24 hours, my friend’s email list grew by 155 people. Actually, I’m sure it grew by a whole lot more than that. This small biz owner is doing a lot of different things to grow her list before the cart opens for her product launch in a couple weeks. But I know about those 155 new subscribers because I made them happen. They found her site and opted in as a result of the Facebook ads that we’re running. Facebook tells me exactly how many people “converted” and how much it cost to bring each one of those people onto the list. 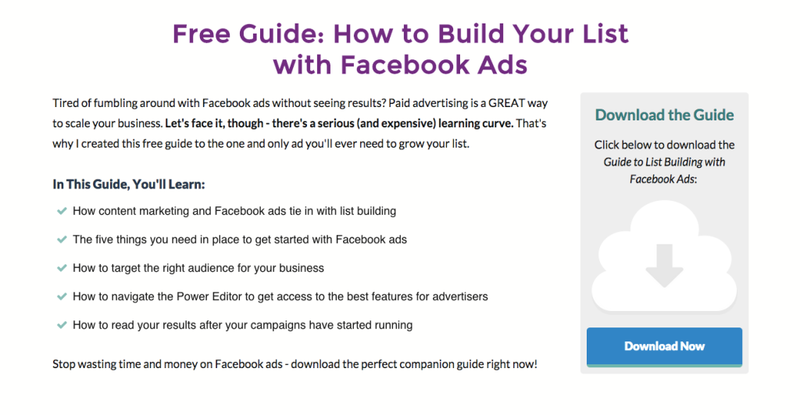 Click the image to get your free guide to list building with Facebook ads! THIS IS IMPORTANT: everyone’s ads will have different results. Even mine can still be a LOT more expensive than a dollar per sign-up. So make sure you keep reading and do the math! Neither my friend nor I even looked at her ad account yesterday. The ads ran completely on autopilot, and the list sign-ups came in on their own. By the time my friend opens the cart for her current product launch, she should have around 1000 new people on her list that cost her about $1,000. To figure out if paying for Facebook ads makes sense for your business, you have to run the numbers. It’s all about your conversion rate – Tara Gentile gives a great explanation of this math in her post, Sales is a Numbers Game: Are You Adding to the Number That Counts? Think about this: if you spend $100 to bring 100 people onto your list, and 2 of those people buy your $300 product, your ROI is $500. Even if only one of them buys, you still net $200. Make sure you do the math for yourself – looking at your conversion rate is crucial in making this decision. One thing is true for all businesses, though: the more expensive your product, the more paying to build your list makes sense. 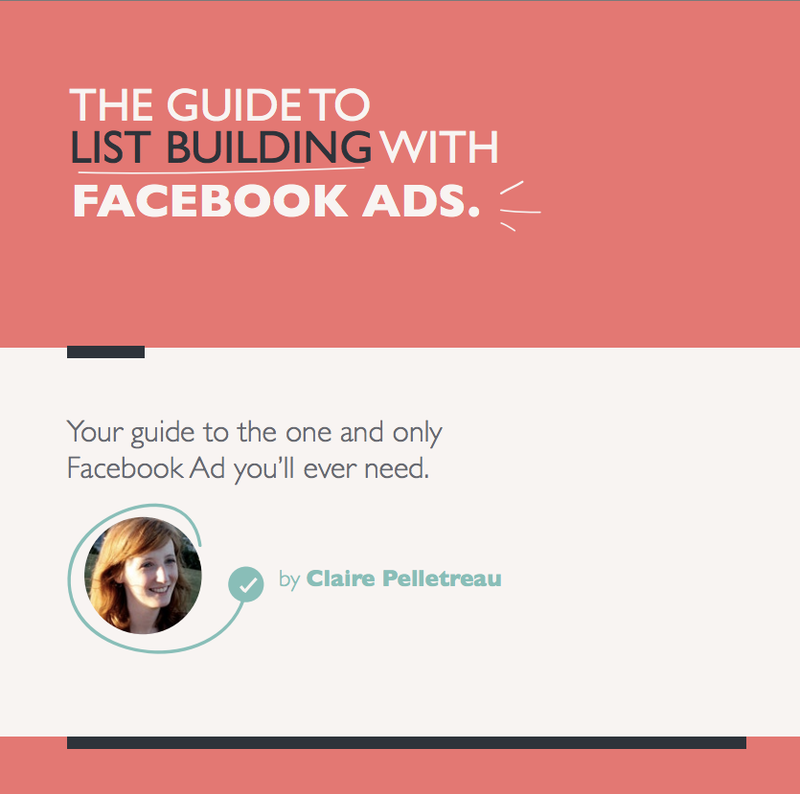 Ready to try Facebook ads to build your list? Grab my free guide to setting up your entire campaign here. If you’ve tried list building with Facebook ads before, let us all know how it went in the comments below! If you weren’t happy with the results, tell me why and I’ll see if I can help you tweak the campaign for next time.